A physical therapist is a specialist trained to work with you to restore your activity, strength and motion following an injury or surgery. Physical therapists can teach specific exercises, stretches and techniques and use specialized equipment to address problems that cannot be managed without this specialized physical therapy training. Physical therapists are trained to identify deficiencies in the biomechanics of the body. Working with a physical therapist can target specific areas of weakness in the way our bodies work. They can relieve stress and help the body function without pain. Physical therapists are knowledgeable about surgical procedures and treatment goals, and can tailor their efforts to improve your well-being. After surgical procedures, it is important that therapy is guided by the surgical procedure. Physical therapists are knowledgeable about your body’s limitations after surgery and can help ensure a successful outcome. Stretching is vital in maintaining good range of motion with joints and the flexibility of muscles. If you have stiff joints or tight muscles, normal activities, such as climbing stairs or reaching overhead, can be severely affected. With proper stretching, these functions can be preserved. After an injury or surgery, scar tissue forms and soft tissue spasms and is tense. It is important to regularly stretch in these situations to ensure that scar formation does not get in the way of your rehabilitation. Strengthening exercises are performed to help you improve the function of your muscles. The goal is to improve strength, increase endurance and maintain or improve range of motion. Post-operative exercises should always be guided by your doctor and physical therapist, as there may be specific restrictions for your injury. 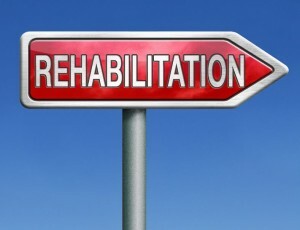 At Spring Creek Medical we offer all types of rehabilitation. Our specialty is pain management and rehabilitation.